Arrival at Leh airport Or option (Delhi Than we start from Manali): Received and greet by our representative and transfer to Hotel. Complete rest for acclimatization must. Welcome tea/coffee will be served. Overnight Hotel. NO ACTIVITY. 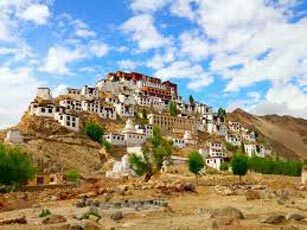 Day tour to the monasteries around (98Kms): After breakfast,we proceed drive to visit Shey Palace, Thicksey & Hemis monasteries. Lunch you can take at Hemis /Thicksey, there are restaurants with basic facilities. Start around 9AM & return to Leh by evening. Over night Hotel. 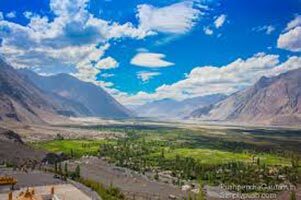 Leh to Nubra Valley (120 Kms) :After having Breakfast,we proceed drive to Nubra Valley via Khardung la 5600m (Highest Motorable road in the world). Start around 8AM. Check in to your hotel. Visit Hundar & Diskit monastery / Village. Overnight Olthang Guest house.. [CHECK-OUT LEH HOTEL]. Nubra Valley to Leh (120 Kms): After Breakfast visit Sumur Monastery / village and drive back to Leh by same Route, crossing Khardung la Pass. Overnight Hotel. Leh to Pangong Lake & return is around (280 Kms): Next day, after early Breakfast, we leave for Pangong Lake (14,500 ft), via Chang la Pass 17,350 ft. It is the third highest Motorable road of world. 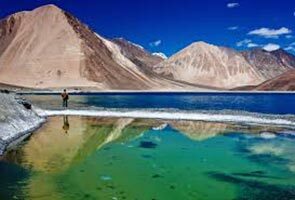 Pangong, is the highest saltwater Lake in the World, shared by two countries India & China. Enjoy the beauty of the lake and appreciate the changing Colors and fascinating high altitude of the Lake. Return same day. Overnight at Leh hotel. Rafting at Indus / Zanskar rive: Next we had adventure activity like rafting at ZANSKAR river. Leave around 8:30 AM for Chilling were the rafting starts from. Chilling is around 54kms from Leh. Rafting duration is of around 03hrs. and is of rapid 03+ and one does not require any past experience. You finish at confluence of Indus & Zanskar river at NIMU. Hot lunch will be served. Over night Hotel. Leh to Tsomoriri Lake (240 Kms.) 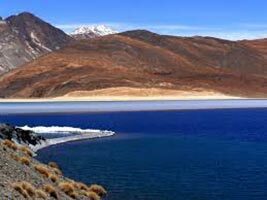 : Next day , After breakfast we proceed drive to Tsomoriri lake passing Chumathang (Hot Spring) along the Indus river. The drive is of around 07hrs. At the Lake to enjoy the scenic beauty hike around. 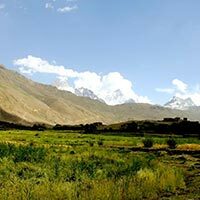 The true beauty of the region lies in its vast untamed space,wildlife & nomadic inhabitants. Brackish Tsomoriri (4500m.) lake is surrounded by snow-topped barren mountains. This unique habitant attracts many migratory water birds including brahminy ducks and black-neck cranes and the rare bar headed geese. Overnight Camp.Accommodation at such remote area is basic, so do not expect much. [CHECK-OUT LEH HOTEL]. Hrs. After breakfast to Tsokar lake and drive to back to Leh. Overnight Hotel. 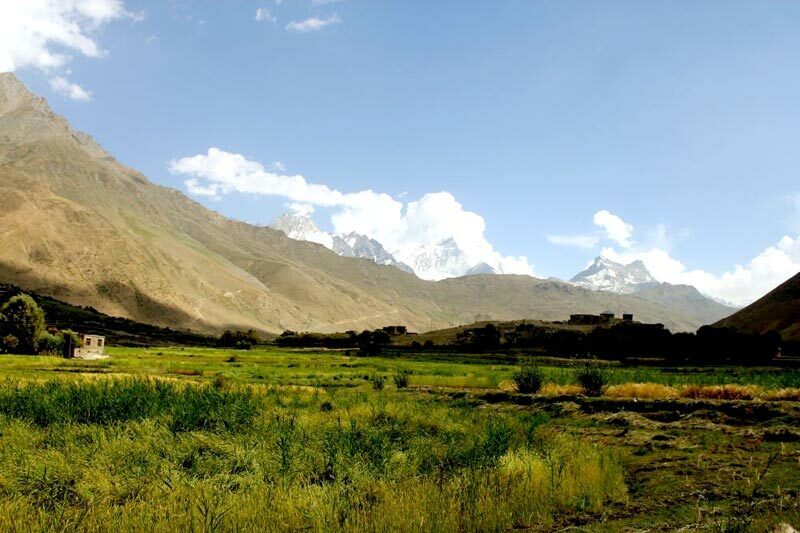 Tsokar is small salt lake with beautiful snow caped mountains surrounding. Departure To Airport : Next day after explore Ladakh local market. 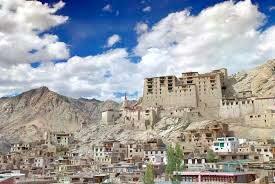 we transfer to the airport and fly back to Delhi with Sweet Memories of Ladakh.